Deforestation, especially of tropical forests, makes up 18 percent of annual global greenhouse gas (GHG) emissions — more emissions than the entire global transportation sector. The 2007 Assessment Report of the Intergovernmental Panel on Climate Change (IPCC) emphasised that reducing deforestation would be the most significant and immediate way to begin reducing global levels of GHG emissions. Indeed, member states to the United Nations Framework Convention on Climate Change (UNFCCC) agreed that Reducing Emissions from Deforestation and Forest Degradation (REDD) initiatives should become an important climate change mitigation mechanism to help in maintaining or reducing the global atmospheric concentration of GHG. 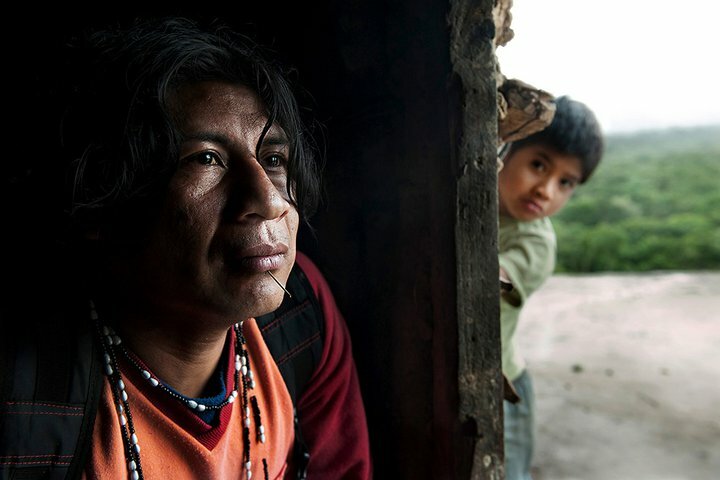 Photo: Nicolas Villaume/CWE from “Guarani: The Price of Carbon. Both REDD and REDD+ approaches feed into carbon markets that are supposed to generate significant financial flows from companies with high degrees of GHG emissions in developed countries (e.g., from burning fossil fuels to create electricity) toward less polluting, carbon-neutral or carbon-negative activities in developing countries (e.g., community-managed forestry). 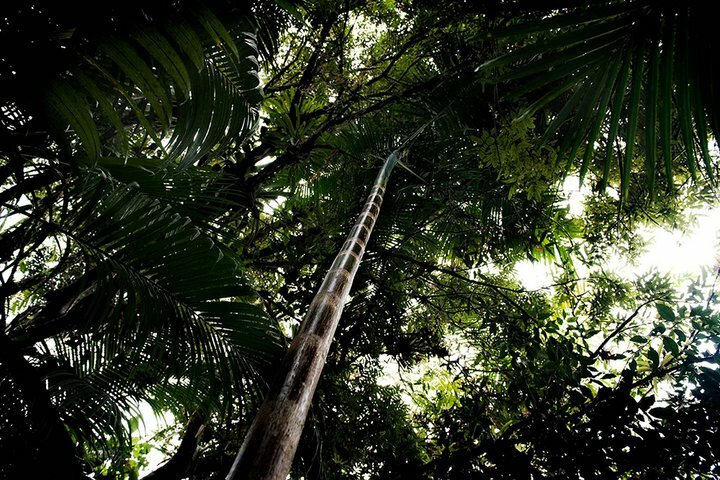 The global forest carbon-based market is projected to generate US$30 billion a year. Among other things, carbon markets are expected to provide significant financial rewards for indigenous peoples and communities to continue to preserve their traditional forested lands. Since 2008, over US$7.5 billion has been committed to REDD+ projects, with many more billions promised. The main global REDD+ database currently has 647 registered projects in 40 countries amounting to US$3.32 billion. Most of these initiatives are located on indigenous lands, since indigenous peoples legally own more than 11 percent of the world’s remaining forests, with traditional ownership and land tenure covering an even greater area, which supports close to 80 percent of the planet’s terrestrial biodiversity. Some proponents of REDD+ initiatives argue that these projects would help sustain local cultures and communities, while protecting global biodiversity. Others are more cautious, pointing out that such outcomes could be achieved only when collective and individual land rights and indigenous customary laws, as enshrined in the UN Declaration on the Rights of Indigenous Peoples (UNDRIP), are properly recognised. To date, however, many indigenous communities remain unrecognised by state governments, while the essential elements of UNDRIP (e.g., Free Prior and Informed Consent, or FPIC) are absent from REDD+ initiatives. Avoided-deforestation projects pose a problem rarely considered: the fate of the forest dwellers themselves. Photo: Nicolas Villaume/CWE from “Guarani: The Price of Carbon. Debates about the pros and cons of market-based mitigation measures continue at the local, national and international levels. On the one hand, some indigenous communities see potential local economic benefits of carbon trading projects, especially when traditional low-carbon livelihoods can be supported. Several indigenous communities (e.g., the Paiter-Surui people of Brazil) have been actively participating in setting up initiatives to benefit from carbon trading regimes or payment for ecosystem services (the benefits of nature to households, communities and economies) that compensate them for maintaining or enhancing these natural processes such as water purification, flood mitigation, or carbon sequestration. However, it has been argued by other indigenous groups that “offsetting” one environmentally damaging practice (very likely to be detrimental to the indigenous peoples or local communities of that particular place) with a seemingly less damaging or even “positive” initiative somewhere else through carbon trading, makes achieving FPIC impossible and goes against indigenous worldviews that are based on respect, reciprocity and reverence toward Mother Earth rather than its monetary value (as articulated in, for example, the Kari-Oca II Declaration). Many indigenous peoples, therefore, oppose such endeavours, arguing that assigning market value to communally stewarded resources destroys local biological and cultural diversities and undermines the resilience of local social-ecological systems. The scale of the REDD+ experiment and its aspirational and technological, rather than experiential and community-based nature, have led to considerable problems and delays with its implementation. These challenges cannot be overcome without equitable and respectful participation of indigenous and local communities in all stages of REDD+ activities. National governments, the international community, the private sector and international agencies must recognise the FPIC of indigenous peoples and local communities. This is a prerequisite to ensuring that indigenous peoples and local communities can negotiate the use of their forests and benefit from such initiatives as REDD+. The lack of local understanding of the broader goals of REDD+ is a barrier to the implementation of such initiatives. Communication about these topics must be a continuous process that engages the local communities as well as national governments. The interaction between domestic legal frameworks for implementing REDD/REDD+ mechanisms and customary land tenure or community land rights is not always clear-cut with regard to ownership of carbon credits. The frameworks and bodies governing REDD+ implementation range from multilateral state-centred efforts to bilateral agreements between countries, and voluntary certification schemes. They may intersect with international legal regimes concerning indigenous peoples, biodiversity and cultural heritage and with national, regional and local community and indigenous governance arrangements. While many frameworks governing REDD+ contain safeguards and policies to address indigenous and local communities’ rights, there is often little oversight and accountability of these frameworks at the implementation stage. For REDD+ initiatives to achieve substantial reductions in GHG emissions while doing no harm and, wherever possible, benefiting indigenous peoples, it is crucial to develop and implement legal, social, environmental and accountability safeguards. The approaches being developed to address social safeguards and ensure meaningful and equitable participation of indigenous peoples and communities must integrate indigenous worldviews and be closely monitored throughout all phases of REDD+ project development and implementation. Recognising the importance of these issues, the UN Permanent Forum on Indigenous Issues (UNPFII) committed to conducting an assessment of how indigenous peoples’ rights and safeguards are being addressed in REDD/REDD+ projects. The report will be presented at the Forum’s 12th session, in 2013. UNU-IAS TKI has been assisting UNPFII with the preparation of the REDD/REDD+ report (due out in May 2013) to help delegates and indigenous peoples around the world achieve a better understanding of the likely benefits and risks of REDD+ proposals. For more information and updates regarding the UNU-IAS Traditional Knowledge Initiative please visit their UNU project webpage, Facebook page and Twitter page. Some photos for this article were provided by Nicolas Villaume/Conversations With the Earth. You can join the CWE conversation on Twitter and Facebook. Can REDD Ever Become Green? by Gleb Raygorodetsky is licensed under a Creative Commons Attribution-NonCommercial-ShareAlike 3.0 Unported License.